I have been wondering as to what Master Grade Gundam should I buy. I really did a lot of thinking before deciding my purchase, since this would be the very first MG Gundam that I will buy. The first one that caught my eye is Epyon, I really like the MG release since I already owned an HG version of it. 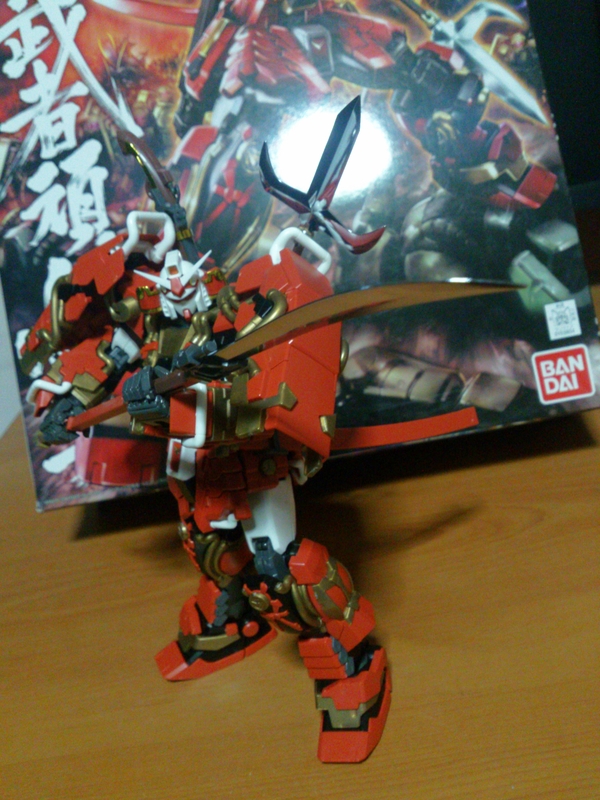 But when I saw Shin Musha, I told myself this would be it. I had a hard time finding it here in the Philippines! Luckily a friend of mine is residing in Japan and I took the opportunity by asking her to buy me one. She came home this August and I got it just last week! 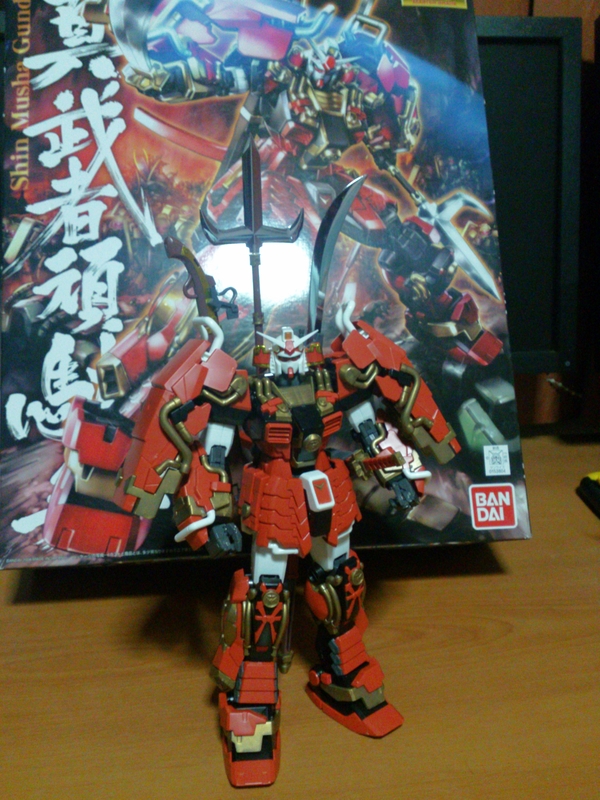 I really like how Shin Musha really resembles a Samurai / Bushido. The Armor in his arms and shoulder makes it look like he is wearing Samurai Warrior Suit. I love how the Katana looks, specially that it also has the sword case. The Trident and Spear looks really nice too. The Gun was a bit out of place, I think, but when I saw that it looks like an old school shotgun it made sense. 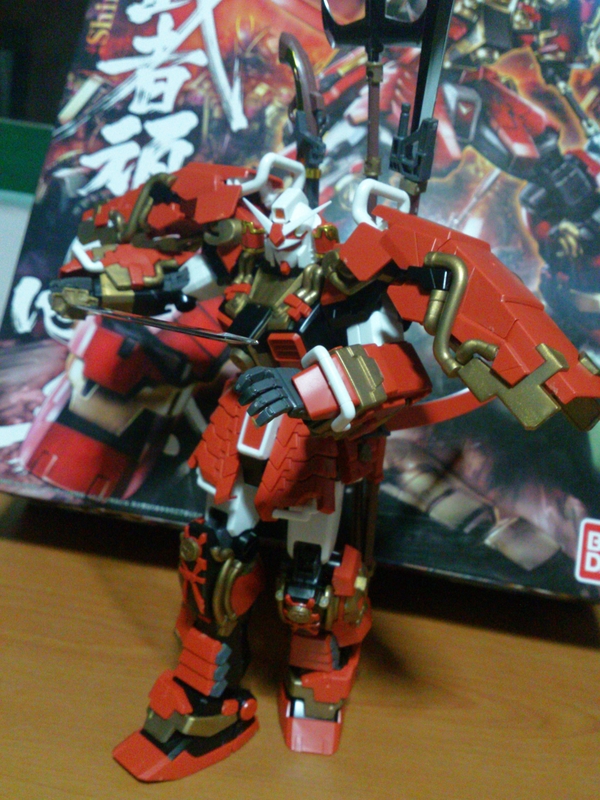 The nice thing about this Gundam is that he can put all of his armaments in him (back part). Unlike other Gundams wherein you have to choose what armaments are they going to hold/carry. All I can say is that Master Grades kits are very detailed and good looking. I am very happy with this Purchase. Looking forward to be able to buy more MG’s in the future. Good choice. 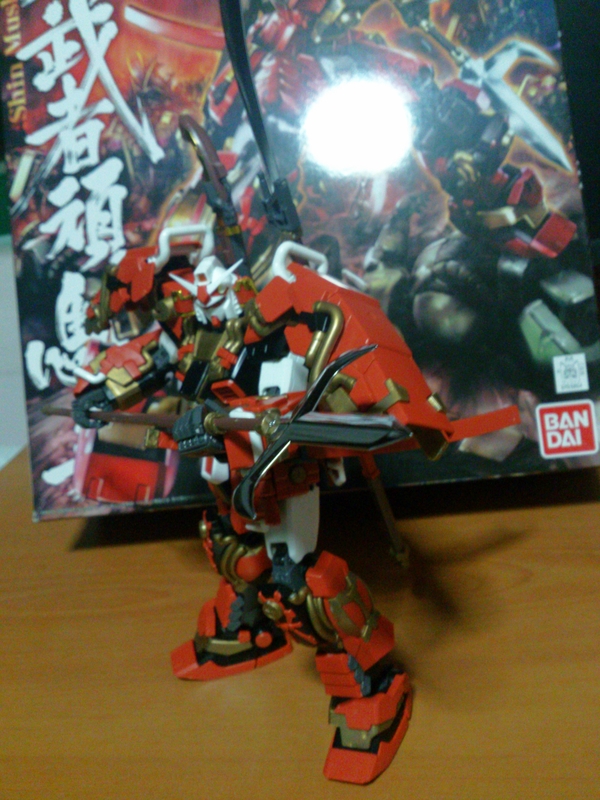 The Musha is a looker.